With the second round in progress, the batch of RG 2017-19 is here to address your queries and doubts regarding preparation. Hello Everyone ! Shoot your questions.. So what can we help you with ? For this course it's going to be a written essay test. Is there a way I can get past years topics for better preparation? There ar multiple PIT dates. There is no way we can exhaustively collect data regarding the kind of essays asked. I, personally, was asked about BREXIT and the regulatory consequences. Look at major international and domestic issues and think about them. That should be enough. Apart from budget what might be hot topics that might be important this time. I know it's difficult to know it all. But still .. There aren't any "hot topics". 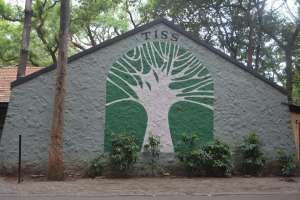 TISS concentrates on anything that is relevant. A course as diverse as RG is bound to do the same. Don't worry, they will ask something everyone know about and usually, the essay section has atleast one choice :) Go through the articles posted on our FB page and look through our syllabus and try and connect it with current events. Hey! !thank you for your time. I want to know if dress code is formals on that day, and do we need to carry our credentials' certificates and marksheets along with us? Regulatory bodies are sufficient for pi?? From where can we access course's syllabus ? Also, there is no particular course syllabus, the material we refer to are usually research papers or academic articles. The course content is not conventional and are very specific to regulation and aim at covering broad areas. Resource from regulatory page are sufficient for eassy ?? I have an access to that link but thanks for the further clarification. We are sorry but that is totally beyond our ambit. As we said earlier, Keep yourself updated with the articles that we put frequently, current affairs etc. The articles on the page have quite a lot of relevant topics but we cannot claim that they are sufficient . Also, feel free to pitch your take on the issue given as a topic in PIT. If anything specific is required, they will tell you. If they don't, assume the DAF is all you require. Carry whatever has been notified by the institute. Just a reminder: We have ten minutes left in this session. If we cannot answer questions now, do post the question on our FB page. We will surely answer everything. We are so excited to meet you. All the very best !